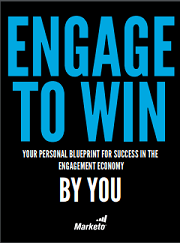 In the Engagement Economy, it is our responsibility to engage our customers, not market to them. We must engage them early, engage them everywhere, and do so in meaningful ways at all times. But it’s your choice. You can choose to engage, choose to demonstrate that you understand the values of your customers, and choose to let them know you want them as a customer, or take the easy way out, and risk becoming irrelevant.